I've fallen a bit behind in the stamping press posts so I will try and make up for that today. 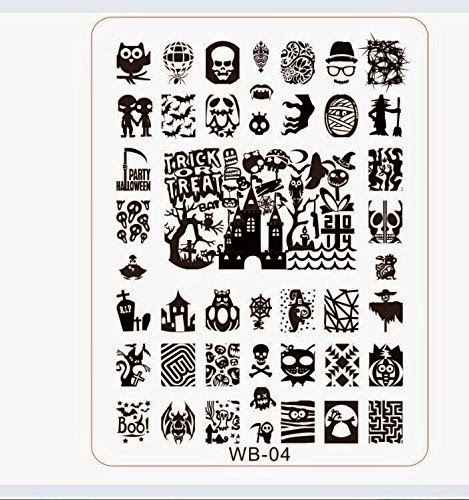 I discovered a new Halloween themed stamping plate on AliExpress about 2 weeks ago that I thought I'd share. IF you order it now you will likely get it before the holiday which is why I wanted to post about it sooner! This image here is actually from a store selling the same plate on Amazon UK for 6.99 Euro's + free shipping calledDavisonne store. The same exact plate is available from AliExpress here for $3.90 USD with free shipping. Apparently this plate has actually been out for over a year!